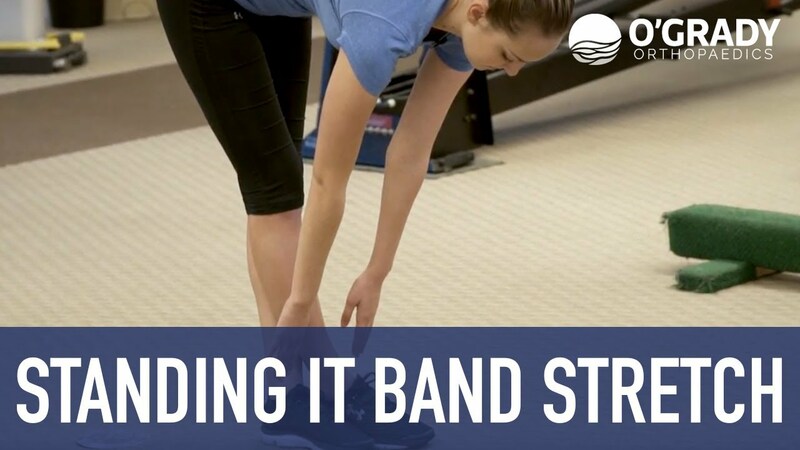 In this video, you will learn how to properly execute an IT Band Stretch. This exercise is beneficial for improving flexibility of the Iliotibial Band before or after undergoing knee surgery, or after sustaining an injury. You should feel a constant pull through the outside of your thigh, but avoid stretching to the point of pain. This exercise can be done 2-3 times daily, at 1 set, 10 repetitions, with a 5-second hold per leg. NOTE: Consult with your doctor or physical therapist before completing this exercise.